As a student at Laurier, you have access to a variety of services that are designed to support your academic success. You are strongly encouraged to take advantage of these services to ensure you make the most of your time spent at the university. Having a hard time editing an essay or report? Become a better writer by learning about academic writing and its conventions. Writing support provides individual consultations, workshops and online modules to help you with thesis statement development, citations and referencing, paper structuring, sentence construction as well as paragraph development. Need help developing the study skills that are key to your academic success? 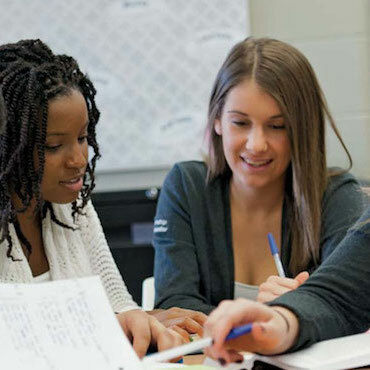 You can learn to manage time, take good notes, prepare for oral presentations and tests, or improve your study habits through Laurier’s individual consultations, workshops and academic success programs, built to help you focus on important study strategies. Want to master mathematical concepts? The Mathematics Assistance Centre provides group and individual sessions, homework sessions, mock tests and exam reviews for mathematics courses as well as for quantitative material in programs such as Sociology, Political Science and Communication Studies. Weekly peer-led study sessions (supplemental instruction and facilitated study groups) can help you meet students from your class, discuss challenging course concepts and theories, and practice problems in groups. This support will help you to improve your study habits and prepare for exams. Academic advising is for all students; those who are facing challenges, and those who are doing well. Professional academic advisors are available to help you to develop a plan to track and achieve your academic goals. Whether you have questions about choosing your courses, you want to change your major or you just want some advice, there is an entire team available to you who are interested in your success. We know that all students are unique in their abilities. We support and encourage your independence and self-determination by offering a variety of accessibility services and resources delivered in a respectful, confidential and professional manner. The resources we provide to registered, eligible students include disability consultants, assistive technology, tutoring services and student support sessions. Our qualified team is here to help you create a plan for personal success at Laurier.